CS Garage Doors in Leeds supplies and fits Vertico doors from established manufacturer SWS, one of Europe's leading garage door manufacturers with a name for quality. 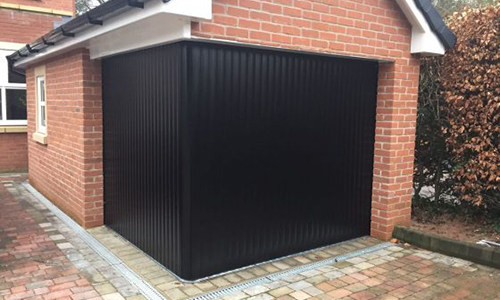 The Vertico lateral running door offers a unique and stylish solution for any garage design, making the most of your garage space and creating a design feature for your home. Vertico is made from aluminium foam filled slats which link together to ensure exceptionally smooth operation and insulation. This makes the Vertico an ideal choice for heated garages and workshops. The vertical design offers partial opening ensuring minimal heat-loss and provides a convenient solution for pedestrian or bicycle access. The neat design only requires a very small amount of headroom. 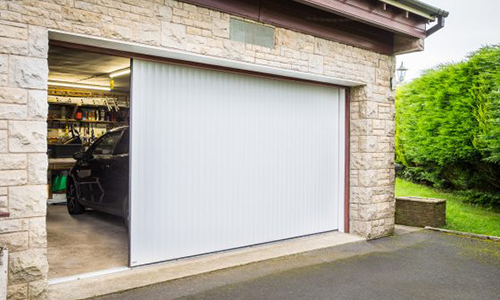 The SeceuroGlide Vertico Garage Door is fitted with a motor, radio remote control and obstacle detection device offering the ultimate in convenience and safety. Vertico is available in 14 stylish colours as standard, is made to measure and is installed by trained garage door specialists. Vertico offers you a stylish and bespoke solution of the highest quality, perfectly made to suit your home.